This isn’t really a review of The Lovely Bones, so much as it is a “What if?” game. That is, what if the movie Ghost had made some bad script choices? Unlike all of my other reviews, this one is teeming with SPOILERS, so if you haven’t seen The Lovely Bones (or Ghost for that matter), and you want an unbiased viewing experience, click the Eject button now. After looking forward to seeing The Lovely Bones on Blu-ray for many months, I finally got my chance a couple nights ago… and was completely underwhelmed. Some great novels just don’t work really well as movies (Dune anyone? ), and The Lovely Bones is one of them. (Note: I haven’t read the novel, so I’m judging the movie on a standalone basis. I have no doubt that the novel is brilliant). So why didn’t the movie work so well? Let’s ask some “What If?” questions about the similar, yet hugely successful1, movie Ghost for the answers. Obviously the two movies are different kinds of ghost stories, but the differences illuminate why one was a hit and one was a box office disappointment. Ghost: What if Patrick Swayze’s character (Sam Wheat) spent his time passively watching events unfold in the world of the living? In The Lovely Bones, the murdered girl, Susie Salmon (Saoirse Ronan) spends A LOT of time just hanging out in her gazebo watching events unfold. There are few if any active attempts to communicate with her loved ones or test her ability to interact with the living world. In Ghost, Sam goes nuts trying to communicate with the living world, test his abilities and stop the killer. He finally learns how to manipulate objects, and possess a spiritualist, in a way that feels plausible for a ghost. It makes him a very active protagonist. In movies, unless there’s a ton of voice-over, we don’t get to hear the protagonist’s thoughts and decisions. We can only go by what we see on film. So if in a book, all of the active elements come from internal processes, you’ve got to translate that into viewable actions. Apart from a flickering reflection and some sort of emotional influence over her father in one scene, we didn’t get to see Susie as active, and the momentum ground to a halt. Ghost: What if Molly Jensen (Demi Moore) was in no immediate danger? In The Lovely Bones, months… years pass by without any immediate threats. Sure we get a few lascivious glances from Stanley Tucci’s character, but he’s not actively pursuing anyone. There’s one scene where we see him creating a hunter’s blind — presumably to stalk another victim. But which victim? Maybe he’s going after Susie’s sister. Maybe not. I shouldn’t need to read the book to find that out. In Ghost, we know that Molly is in danger. And it doesn’t come after months of seeing Sam lurking about in an ethereal plane. It happens right away. The threat is immediate, the stakes are high, the tension is ratcheted up, the pace is quickened and the movie is more thrilling. Ghost: What if Sam spent much of his screen time in a dreamlike world? In The Lovely Bones, Susie walks through a forest that changes seasons with every second, runs around on a Super Mario Galaxy planet, and frollicks in other purgatorial dreamscapes with lots of icicles. Visually, it’s all very cool, but little of it moves the plot forward. In Ghost, Sam spends his time more wisely (at least in terms of the audience’s benefit), learning the rules of his world. He does all the things that we’d try to do — especially if there were hints as to his ability to interact with that world. Ghost: What if at the end of the movie the bad guy got away and Molly got no closure? 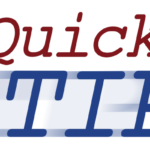 There are lots of screenwriting axioms, but “Make sure you have a strong ending” must be near the top of the list. The Usual Suspects is a really good movie, but the ending makes it the stuff of legend. Unforgiven is a really good movie, but the ending provides a lasting visceral punch. The ending of The Lovely Bones leaves much to be desired. There’s a wonderful scene where Susie’s sister breaks into Tucci’s home to uncover evidence that he’s the killer. All of that scene’s power is immediately undone by the ludicrous scene that follows. Susie’s sister rushes into her house, seconds after being chased by Tucci, with evidence of his involvement in her sister’s death. And what happens? Does she breathlessly explain how she was nearly captured by a child killer and that he might be getting away or, worse yet, still chasing her and possibly endangering the family? Nope, she waits until after her mom’s sudden homecoming. And even then, she hesitates before showing her grandma the evidence. I’m sorry, but narrowly escaping from your sister’s killer, with evidence of his crime, trumps the family reunion. From there it gets worse. Tucci gets away and there’s a ridiculous scene where he drops off the safe with Susie’s remains inside to a sinkhole. Instead of parking next to the sinkhole, he parks like 100 feet away. He then has to laboriously flip the damn safe end over end for about 5 minutes to reach the hole. I think it was meant to build suspense, but it just came across as laughably unrealistic. What’s worse, our protagonist rushes back to the scene, giving us hope that she’s going to do something to stop him from disposing of the evidence. Instead she inhabits the body of an older girl for that last kiss she never got — a kiss from a now much older man. Eventually Tucci meets his end, but Susie’s family doesn’t find out. Does anyone ever find out? The setup of the movie is good. But other than the strong acting performances, the film is wholly unsatisfying. I respect directors that attempt to be true to source material, but maybe there are some stories that do not translate well to the silver screen. I’m a big Peter Jackson fan, but my feeling is that he spent too much time worrying about the fantastical worlds, to the detriment of the story’s narrative. What can I say? It ain’t Ghost. 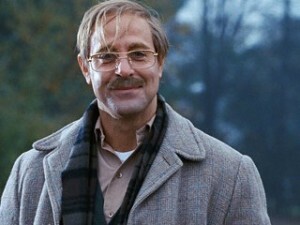 Have you seen The Lovely Bones? Read the book? What are your thoughts? Now that’s an ending! Thanks for the note Kevin. The book is amazing, but you’re right — all the real action takes place is Susie’s mind and that has difficulty translating to the silver screen. Also the power of the narrative language is lost. All the small conclusions and triumphs don’t play out. I wonder if we can make a general rule: Books that rely heavily on the narrative like “Mrs. Dalloway,” “The Hours,” “Golden Compass,” or anything Pulitzer winning is going to fail as a movie b/c you core out the best part of it in the transition: the narrative. Except … the Cohen brothers seem to keep a trace of it running through their stuff. Like the cowboy narrative in “The Big Labowski” or the voiceover in “Bound,” which I know is the OTHER brothers. I haven’t seen “The Great Gatsby,” but I’d bet it’d stink… b/c it relies so much on the narrative to drive the story. And it’s hard to have that transfer over into movie world. Maybe? Are there any movies that have done a good job with keeping a strong narrative? “Antonia’s Line,” maybe. All that said, I still liked “Lovely Bones.” It answered the questions of what happens when you die – even violently – to my satisfaction. As a woman, I am comforted by the idea that just b/c you can be physically overpowered in this life, it doesn’t take away your agency or your joy in the next. Melanie – Thanks for the feedback. I agree, when a character’s internal narrative is one of the primary reasons you enjoy a book, it’s very difficult to translate that into a movie. That’s why I’m always skeptical of any Dune remakes. 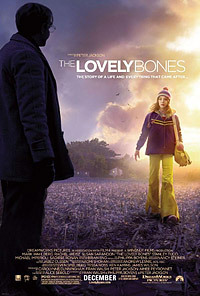 I also liked Lovely Bones for the reasons you cite, but I didn’t love it for the reasons I’ve already listed. 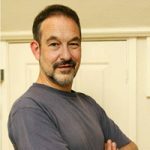 It’s tricky — because if you’re adapting something, you want to be true to the original material so as not to alienate fans, yet at the same time it’s an entirely different medium, with a different set of rules.